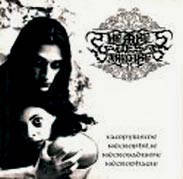 Italian black metal(early)/gothic metal(now) band. 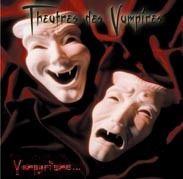 Debuted in 1995 with a demo record.There are a few line-up changes for the first album 'Vampyrìsme, Nècrophilie, Nècrosadisme, Nècrophagie', and in 1999 the band is in full strenght. 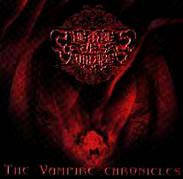 Follows the album 'The Vampire Chronicles'. At the end of 1999 the female singers Scarlet and Justine join the line-up.Third LP was delivered in 2001 under the title 'Bloody Lunatic Asylum'. 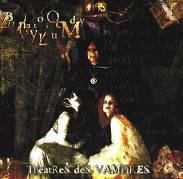 In 2001 a MCD was delivered under the title 'Iubilaeum Anno Dracula 2001'. 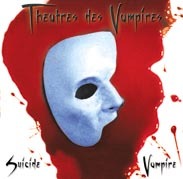 In 2002 'Suicide Vampire' comes up. For that album they use for the very first time professional choirs and real string section. By that time the female vocalist Justine leaves the band. 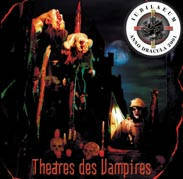 During the sessions for 'Suicide Vampire', the drummer Blasfemator (Gabriel Valerio) is dismissed for personal reasons but then turned back in 2003, just in time for the successfull tour of Europe in support of Christian Death. 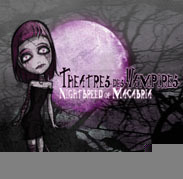 In 2004 'Nigthbreed in Macabria' is published, after re-recording the debut album of Theatres des Vampires (Vampyrisme-2003). 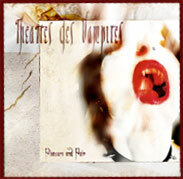 A year after (2005) 'Pleasure and Pain' comes up. A long tour of Europe followed this release. The last release was the DVD 'The Addiction tour 2006'. 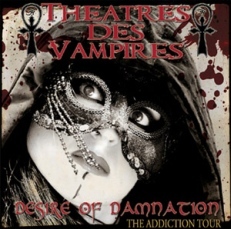 In March 2007, a new opera of the band will see the light: "Desire of Damnation". 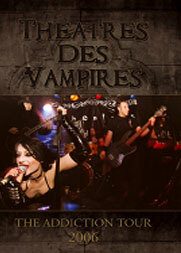 Theatres des Vampires is a vampire fixated band, for which sometimes they have problems related mostly with their stage acts (full of real blood). However, their popularity and quality of work doesn't decrease and is always growing.